I don’t claim to be proficient in the kitchen. Since that is the case I have no issues admitting that I use google rather a lot to form general ideas on how to accomplish things. 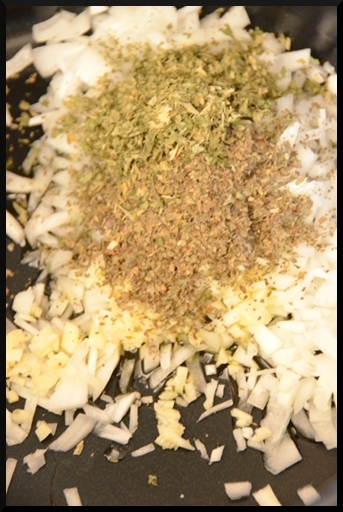 Things like making a pasta sauce that aren’t from a recipe calling for WAY too much oregano. Don’t ask how I know. Many recipes I saw called for white wine. After some more googling, and consulting with Stacy about red wine versus white wine, I decided to go ahead with red wine as it’s what I had on hand. I’m pretty glad I did too. Nothing better than sticking your head right over a simmering pot of pasta sauce! 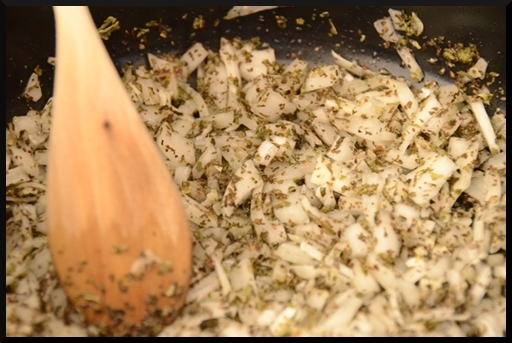 Chop up your onion and garlic and put them both into a large sauce pan with olive oil, basil, and parsley. Basil is wonderful … Fresh basil is without a doubt my favorite herb. 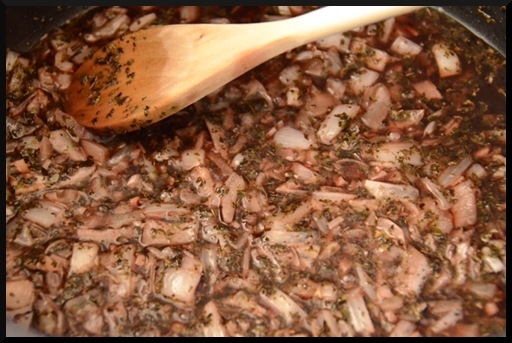 Cook until the onions begin to soften and you feel compelled to hover over the stove sniffing the amazing smell wafting out of the pan. I apparently have a thing for onions and herbs. Add in the 1/2 cup of red wine and let simmer for a bit. As the alcohol in the wine burns off the smell is fantastic .. I knew I was on to something at this point! 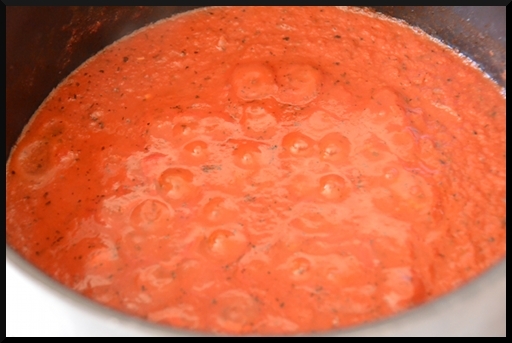 Add in the tomato sauce and tomato paste and simmer away for as long as you can stand. I think I had this simmering for a good 2 hours before I needed to swipe 2 cups worth for my baked ziti (which is another post!). Simmering sauce is not unlike a fresh from the oven cast iron pan – hot. Enter your email address to subscribe to my blog and receive e-mail notifications of new posts.